A roller skating disco can be a fabulous and novel way to end the school year or to celebrate success with a year group or key stage. At KO Sport we provide a 1-1.5hr roller disco at your school to include retro quad skates, wrist guards, music, tuition, games and marshalls. We hold full Public Liability Insurance and venues are inspected prior to the arrangement of any activities and Venue-Specific Risk Assessments drafted and provided to work in conjunction with existing policies. Our Schools and Colleges teaching packages are fully adaptable according to age, ability and group size. In addition to our coaches, KO Sport will supply high quality quad skates and wrist guards. We hold full Public Liability Insurance and venues are inspected prior to the arrangement of any activities and Venue-Specific Risk Assessments drafted and provided to work in conjunction with existing policies. The aim of this course is to enable students to skate safely and confidently, allowing them to maximise their enjoyment of skating whether at an organised skate park or event or in a suitable open space. Sessions are designed to last for one hour. This allows sufficient time for the fitting and removal of equipment. However, all courses can be formatted in advance according to timetable restrictions or specific activity time-slot. These are very much set according to age and ability. As a general rule no more than 12-15 pupils per instructor are recommended, though older, more competent skaters have worked in larger groups in the past. All skills taught are practised each week by means of drills, group activities and games. As anyone who has skated will tell you, skating is a workout! Participants will burn anything from 300 to 600+ calories per hour. Regular skate sessions can help achieve long-term aerobic benefits as well as improve recovery and endurance levels. For many “non-sporty” youngsters, skating offers an opportunity to gain much-needed exercise in a non-competitive, fun environment. Core, hip, and leg muscles all benefit from regular skate sessions and lower back, shoulder and upper arms are also used for balance and stability. All three of these have been proven to benefit from regular skate sessions. Specific drills and games incorporated not only in our organised teaching sessions but also our open events help participants to develop these essential skills. Skating can often accommodate certain mental (autism, dyspraxia etc.) and physical disabilities which could normally limit sports participation. Many youngsters do not see skating as a sport, but as more of a “cool” hobby, hence the number of youngsters who join our sessions who would normally gain benefit from little or no exercise outside of school-time. Skating is a very social sport and offers participants an opportunity to interact in a fun, non-competitive environment. Interaction is actively encouraged during teaching and general skate sessions by way of group and individual drills and games. KO Sport highly recommends the use of personal protective equipment during skating activity. This is provided to loan free of charge as part the ticket price. Wearing protective equipment will greatly reduce the chance of injury due to a fall / collision. KO Sport accepts no responsibility for injury caused by a fall / collision which would have otherwise not occurred if protective equipment had been worn. Persons using their own skates and equipment are responsible for the maintenance and upkeep of such and KO Sport cannot be held responsible for any accidents, damage or injury caused by such skates and equipment to yourself or a third party. KO Sport reserve the right to refuse admission and to remove persons from the venue for any reason including behaviour likely to cause damage, injury, nuisance or annoyance, or for failure to comply with the reasonable requests of KO Sport or their representatives staffing the Event. People skating at this venue do so entirely at their own risk and KO Sport cannot be held responsible for any accidents caused by in house structures, objects, or by actions of other skaters. KO Sport are not responsible for any loss, injury or damage, howsoever caused, to yourself or third party, your property or clothing. Anyone deemed to be a danger to themselves or others as a result of excessive alcohol consumption or illegal substance will be refused access to the Rink and surrounding areas and no refunds will be offered. 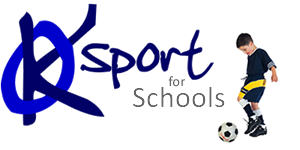 KO Sport staff will be marshalling inside the main hall; once children leave this area they are no longer under our supervision; therefore please ensure YOU (parent/carer) are responsible for your own child. We highly recommend that you do not take part in skating activity if you suffer from high blood pressure, heart, back or neck problems, brittle bones, joint injuries or any other condition that could be aggravated by this activity. If you are, or suspect you are pregnant you should not take part in this activity. By agreeing to this document you consent to your shoes being used as a deposit for hiring skates. If you do not return hire skates or protective equipment, your shoes will be held until such time as KO Sport have received full reimbursement for *missing skates or protective equipment. Legal action will be pursued against anyone suspected of theft. Additional items left behind in the changing area are done so entirely at the Owners risk. KO Sport can accept no responsibility for the loss or any damage to these items. We strongly recommend that valuable items such as phones, wallets and purses are kept on your person at all times. If in doubt please ask and we will endeavour to help you. KO Sport are pleased to provide this skating service. Whilst we have attempted to make the venue as safe as possible, the very nature of roller skating means that accidents can occasionally happen. KO Sport cannot accept any responsibility for injury or harm caused to children, or to children’s property whilst using this facility. We would strongly recommend parental supervision, as once the children have left the designated roller skating area (the main hall) then they are no longer supervised by KO Sport staff. 1.Please ensure that you heed all signs. 2. Socks must be worn when wearing hire skates. 3. Skate within your own ability. 4. NO FOOD or DRINKS to be taken on to the skating rink. 5. We are not responsible for lost or stolen articles. 7. Please skate in an anti-clockwise direction, unless otherwise instructed by the skate marshals. 9. Alcoholic beverages, illegal substances, or anyone under the influence, will not be permitted on the premises. 10. Please listen to the skate marshals; they are there for your safety! 11. All patrons must report any injuries to the management, regardless of the severity. 12. If you are pregnant or have a serious medical condition or injury that may be aggravated by exercise, please do not skate. 13. While skating; no pushing, fast skating, or suddenly stopping at any time on the skate floor is permitted, as these actions will jeopardize the safety of other skaters. 14. NO horseplay or disruptive behaviour. 15. No profanity. Repetitive profanity and foul or abusive language will lead to suspension from the rink. 17. The DJ area is out of bounds. 18. No skates are to be worn in the toilets. Get your shoes from the resting area and put them back on. You may retrieve your skates afterwards. 19. No standing still on the skating floor. 20. No chewing gum allowed. 21. No smoking in the building. 22. No skates/rollerblades to be worn entering or leaving the building. 23. No carrying of children whilst on skates at any time!! 24. Please return your skates as a matching pair in order to retrieve your shoes. Management reserves the right to ask anyone to leave at any time. If you are asked to leave, no refunds will be given.